well, I guess by definition a "featured artist" will generally use "feat." Not because the guideline dictates it, though. In classical, concensus seems to be that we use language-neutral "joining syntax" like " / " and " & ". Has this thing of losing the second artist in a release artist credit returned? well what title would you use? 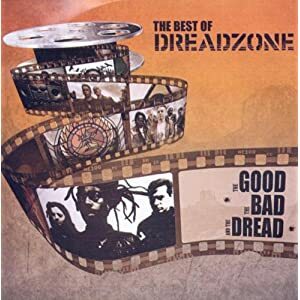 Use "the" capitalzation like this "The Best of Dreadzone: The Good, the Bad and the Dread"
so in amazon on the back cover said "For promotional use only - not for resale" so use status as Promotional even amazon sale it? Fight the Power ('95) why guess case remev ('95)? Am I missing a config or anything? that sounds unlikely, the VM is supposed to just work, without you needing to do much. So, any idea why I would get 400 when I get too many calls? We do use a rate-limiter on production servers, but that shouldn't be installed/enabled in the VM. still, that's the only thing I can think of. Where would the rate-limiter be? Can anyone think of where a "rate-limiter" be if any? could it be doing queries to mb.org? what's the request you're doing? I guess I should make that local? Lets assume ai want to install a search server. What would thgat take?